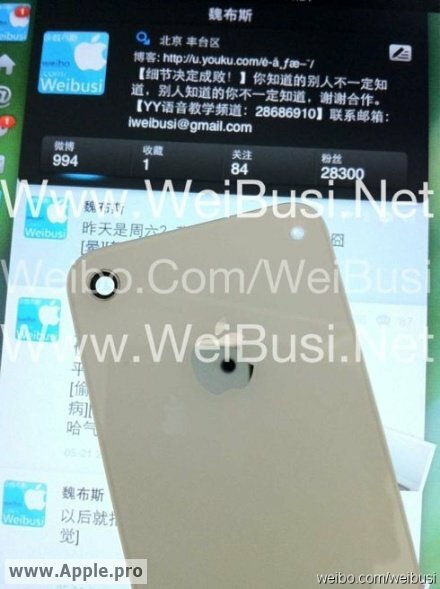 As the iPhone 5 nears its official launch, parts of the alleged new iPhone 5 are starting to show up in China. This isn't anything new but we've seen parts of Apple products being leaked out on the internet months before the actual Apple product was revealed and while some were not real, many have been true leaks. This time we've got a leak of a white back glass showing a separated rear-facing camera and an LED flash placed to the far right of the camera. This would really make sense on Apple's part to improve on the flash capabilities and exposure. This ties in with parts leaked of a separated rear-facing camera and flash modules that have been leaked not so long ago pointing towards this leak being very possible. The iPhone 4's rear-facing cameras has an LED flash attached to it beneath the glass cover.